If you are able to package your donations labeled by size and in a plastic bag that is helpful. 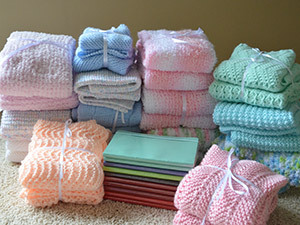 We package the donations together in a set of two, labeled by size (see sizing below) to help the nurses find them easier when needed and keep matching sets together. The Hefty Jumbo bags work really well for this purpose. Try to lay the gowns flat so they don’t get wrinkled and they can be seen without taking out of the bag. 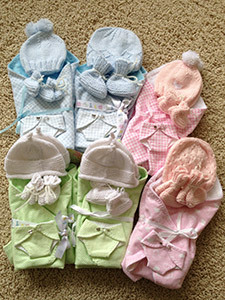 At this point, we do not accept donations of single baby hats, blankets or gown sets. 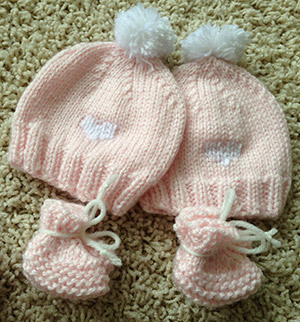 We typically make two large hospital donations each year, in January and June, but we do take donations of the handmade items at any time. If you want to be added to our volunteer email list for handmade items, email Melissa at mikaylasgrace@gmail.com. Below are some links to patterns found at different websites. 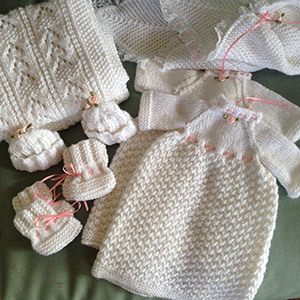 You can also create a free account at www.ravelry.com to get access to more free patterns. You can also see our Pinterest page for ideas. 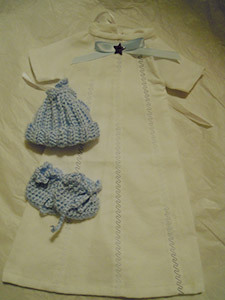 Sewn burial pouch: This is for the tiniest of babies who are too small for the gowns. 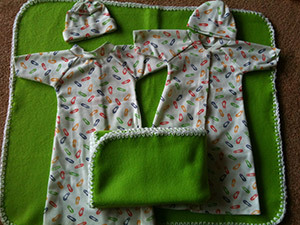 Sewn Precious Pockets: for earlier losses. 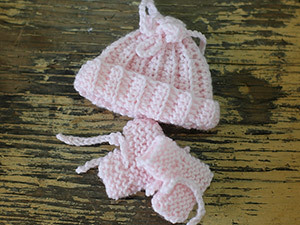 No-Sew Stockinette hats: These are super easy to make without any sewing! 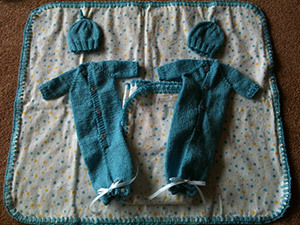 Will fit babies from 14-30 weeks depending on size stockinette used. BLANKETS: The most universal size of blankets are 20-24″ but donations of all sizes will be accepted.